I’m doing two talks in the NYC area at the end of March: the Parsons Communication Design Series (March 25, 5:00PM) and Stevens Institute of Technology (March 26, 5:30PM). The Eyeo Festival is June 3–6, 2019 and I’m happy to be one of the speakers! This will be my first time at Eyeo, which seems to be everyone’s favorite conference. I’m participating in Queering the Collection: Conversation and Book Launch at the International Center of Photography in NYC, March 24, 2019 at 3pm. An “Urgent Publishing Workshop” will happen at Interrupt V at Brown University, February 8, 2019 at 1:30pm. I’m launching QUEER.ARCHIVE.WORK 2 (1923 INTERNET ARCHIVE EDITION) on January 25, 2019 as a special edition of 100 copies, distributed in a reading room at the Internet Archive in San Francisco. This second edition of QUEER.ARCHIVE.WORK is a newsprint publication and set of risograph prints that focuses on lesser-known material from 1923—including rare, historical LGBTQ content that has been digitized for the first time. This publication is being produced while I’m artist-in-residence at the Internet Archive for January 2019, and is part of the Archive’s celebration of the newly-expanded public domain. I’ll give the talk “Publishing as Practice as Resistance” on January 24, 2019 at California College of the Arts (10am at the CCA Writing Studio at 195 DeHaro Street, San Francisco). QUEER.ARCHIVE.WORK featured in AIGA Eye on Design magazine, December 2018. 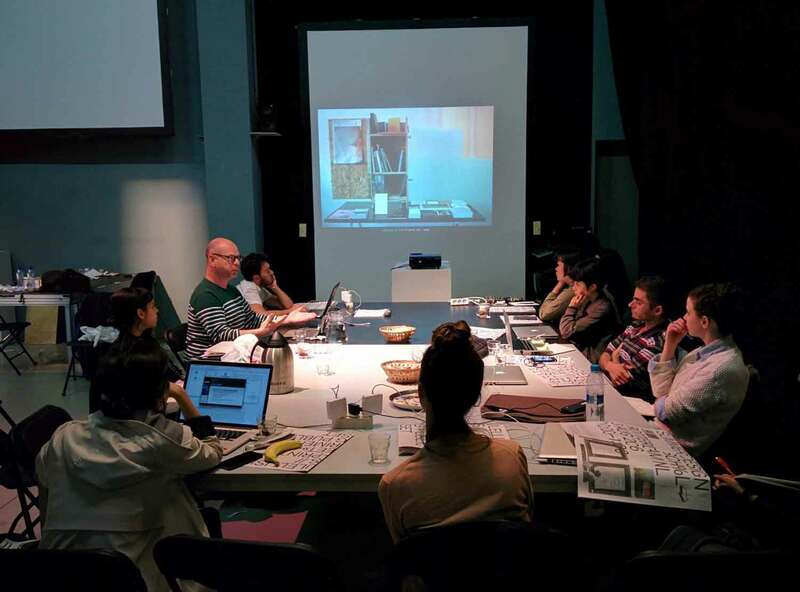 I’m in awesome company teaching at Image Text Ithaca next summer. Applications are open until February 1. I’ll be an artist-in-residence at the Internet Archive from January 7–26, 2019. I’m using my time there to begin work on QUEER.ARCHIVE.WORK #2. I’ll also explore their newly available public domain content from 1923, searching for queer material to be exhibited at the Archive, and for possible inclusion in #2. If you’re an artist / writer / educator using queer methodologies in your practice and would like to meet-up while I’m in town—please reach out! I’m presenting my work and participating in a panel discussion on offline media dissemination at Art Basel Miami, part of Prada Mode Miami at the Freehand, Miami Beach, December 6, 2018 at 2pm. I will give a talk at Boston University School of Visual Arts on Tuesday, November 13, 2018 at 5:00pm. QUEER.ARCHIVE.WORK is a new series edited and published by Paul Soulellis, featuring new work by Jack Halberstam, Nora N. Khan, American Artist, Somnath Bhatt, Nicole Killian, Nate Pyper, shawné michaelain holloway, Unity Press, Be Oakley, Sal Randolph, Porpentine Charity Heartscape, and Demian DinéYazhi´. The publication is urgent, messy, and future-looking, and the first in a new series. 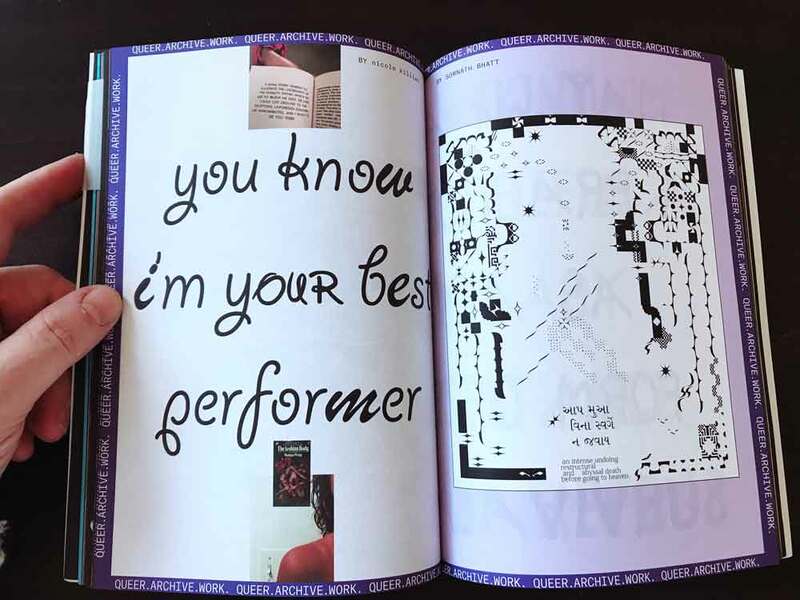 It includes a small collection of print-on-demand and risograph zines and prints, a “loose assembling” of queer methodologies, with a particular view towards network culture, failure, and refutation. 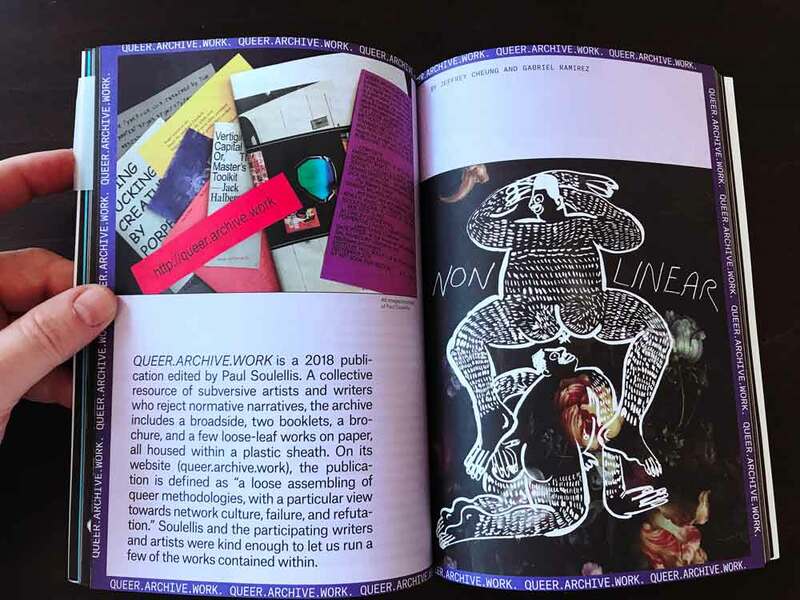 QUEER.ARCHIVE.WORK #1 is available at the Boston Art Book Fair, October 12–14, where Soulellis will give the talk “Publishing as Practice as Resistance,” 1pm, Saturday, October 13.